Mary's Esthetics and Cosmetology believes in your health and we take a pledge to give every soul who enters a sense of peace, health, and calm. Conveniently located in Jackson Heights and Manhattan, New York, we offer state-of-the-art facial services and slimming body treatments. Photomology platform: a process that treats cellulite by combining 915 continuous wave diode laser and 650 LED energy along with mechanical manipulation (vacuum and massage.) This technology offers a safer and more effective way to treat cellulite and achieve lasting results. SMOOTH SHAPES targest the bumpy appearance of cellulite by restoring enlarged fat cells, resulting in smoother skin. It also treats dimpling cellulite by remodeling collagen for tighter skin. The LightPod Neo is a uniquely gentle and versatile laser instrument, commonly used for a broad range of common aesthetic skin treatments. The 1064nm laser light is attracted to a combination of melanin, hemoglobin and water in the skin tissue. The laser energy passes through the epidermis and selectively targets specific tissue structures without affecting the surrounding skin. These factors are what makes the laser so versatile, efficient, and gentle. Intense Pulsed Light (IPL) laser technology is a breakthrough treatment that can correct a variety of benign skin conditions. It is a safe, non-invasive solution that can be tailored to your individual condition and skin type. Imperfections from sun damage and photo-aging. Facial imperfections or abnormalities can detract from your well-being and appearance, no matter how healthy and young you feel. 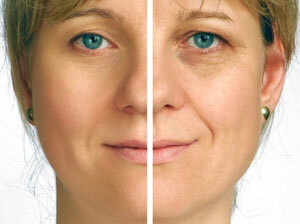 IPL technology helps create smoother looking skin. After a series of treatments , you will see a significant reduction of unwanted pigmentation, acne problems, spots, acne scars, wrinkles and stretch marks. The same treatment can be used effectively on the neck, chest, arms and hands. 3 or more visits are recommended for optimal results.